Download and listen to our KF Method Development webinar! 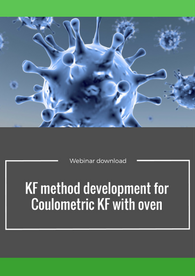 Listen to our Principal Scientist, Analytical Development and Quality Control, as he discusses how to approach method development using the coulometric KF with oven technique. Water content determination is very important for the characterization of pharmaceutical APIs and products during stability studies and processing. Changes in water content can indicate changes in hydration, polymorph and salt form of APIs, as well as prediction of physical changes in drug products such as dissolution performance and hardness. Thus, it is important to have reliable results with acceptable repeatability and accuracy by using an analytical method properly developed and validated. The need for better understanding of moisture effects has promoted automated KF technology to handle large sample throughputs to meet our business needs. Selecting the right KF approach, taking into account physical and chemical sample characteristics, is key to getting reliable data. Automated coulometric KF with oven, when feasible, allows the analysis of a large sample number and requires a small amount of sample, so it is very suitable for this purpose. This webinar discusess how to approach a method development using this technique. 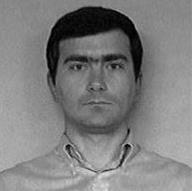 Alberto Garofalo is the reference person for Karl Fisher analysis within the CMC department at Aptuit, Verona, Italy. He graduated with applied chemistry at the University of Padua. He joined the analytical chemistry group of GlaxoSmithKline R&D Center of Verona Italy in 1989, where he developed most of his professional skills.